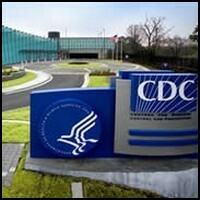 David J. Sencer CDC Museum, located at the Centers for Disease Control and Prevention's headquarters, is a Smithsonian Affiliate. The museum is an educational facility designed to teach about the Centers for Disease Control and Prevention, public health and the benefits of prevention through innovative educational programs for students and teachers and award-winning permanent, temporary and traveling exhibits. The museum is open to the public, and no reservations are required. Parking: When you enter the Centers for Disease Control and Prevention campus on CDC Parkway, veer right to proceed to the security checkpoint. Identify yourself as a visitor to the CDC Museum. Security officers will ask to see your picture ID (driver's license or passport) and will do a quick scan of the undercarriage of your car, van or bus. Security officers will then ask you to open both the truck and the hood of your car for inspection. You will then be directed to the visitor parking deck (straight ahead). When you walk into the Tom Harkin Global Communications Center from the parking deck (ground level), you are entering the David J. Sencer CDC Museum lobby. Once inside, you will be asked to show your picture ID again. Security officers will create a security badge that will give you access to the museum. Please remember to bring a government-issued photo ID (driver's license or passport).